A little over a year ago, the telecoms industry of Ghana witnessed what could be described as a fierce fight from a hurriedly-constituted group of about ten local companies calling themselves the Ghana ICT Chamber against the move by the previous government to auction two slots in the 800MHz spectrum band compatible with 4G LTE technology. 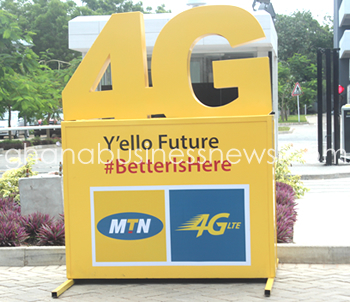 At the centre of the group’s key message was a rather xenophobic posture against telecoms market leader MTN. The group argued that MTN, in spite of its heavy investments, millions of customers and thousands of jobs it provides in the country, must be stopped from acquiring that spectrum just because it was South African and not Ghanaian. As absurd and naive as it may have sounded, the ICT Chamber pushed that idea to the extent of attempting to create a divide between the Ministry of Communications and its implementing agency, the National Communications Authority (NCA), by calling on the minister to stop the NCA from allowing MTN to participate in the auction: as if NCA does anything of and by itself without the consent of the ministry. What the ICT Chamber conveniently failed to tell Ghanaians was that prior to the auction, its key members were given the opportunity to buy the spectrum at a way lower price than the minimum auction price of $67.5 million for each of the two slots. They failed to pull the resources for it. In fact, they were even given the opportunity of a flexible payment plan but they still failed to raise money for even the initial installment. It became obvious then that the members of the Chamber only hurriedly came together for two things; stop MTN from getting into the 4G space, and also to prevent the sale of the spectrum to anyone else but to ICT Chamber members, so that they can then be the licence holders with the opportunity to wholesale to the telecoms companies who have the financial muscle and infrastructure to deploy the technology wider to benefit greater majority of Ghanaians. So for the members of the ICT Chamber, it was an opportunity to hide behind a local content/nationalism clause just to engage in the usual buying and selling that Ghanaians are typically known for. The antecedents would show that almost all the telecoms licences in Ghana were awarded to Ghanaians but, eventually, each of them sold the licences to foreign entities. So NCA was not going to settle for another buying and selling scheme, particularly because, three years before the auction, another 4G spectrum (2600MHz) had been awarded to three wholly Ghanaian-owned companies and they had done very little or nothing with them in three years. Those three were given Broadband Wireless Access (BWA) licenses and only one, Surfline, had really deployed in the real sense of the word. Of the other two, one, Blu, had launched in pockets of the nation’s capital while the other, Goldkey, just remained dormant even up until now. And yet they wanted the whole country to wait for them to find money and deploy at the snail pace they were going; and until they recoup their investment, no one else should be allowed into the 4G space. But it is interesting to note that it was the price of the spectrum that made it impossible for the ICT Chamber to stop the auction. It couldn’t acquire it because of the price and so the NCA had no option but to go ahead with the auction. Again, at the auction, price became a big issue as only one (MTN), out of four who showed interest, was able to manage the minimum price of $67.5million. Indeed, the other three, Surfline, Migson and Goldkey, after paying a non-refundable registration/participation fee of GH¢250,000 ($64,100), failed to show up for the auction and so MTN emerged a default winner of the first auction. The second auction could not happen because there were no more competitors after MTN. MTN had since paid fully for the spectrum and invested an additional $18 million plus to deploy 4G LTE and spread it much wider than the BWA players have. In just six months, MTN has put 4G in all ten regional capitals in Ghana and currently has one of the biggest 4G networks in Africa. But there still remain loads of questions about whether the pricing of the spectrum was in the best interest of the industry and the consumer. Indeed, when the minimum auction price was initially pegged at about $92 million, industry players complained and it was brought down to $67.5 million, but the chorus still remained that greater majority of players had been priced out. In spite of the clarion call for a further reduction in the prices, the NCA did not budge, for one main reason, which was that government was in need of money to implement a digital migration policy under an ITU (International Telecommunication Union) obligations. The country was racing against a January 2016 deadline to go completely digital with all televisions in the country and government was banking its hopes on the sale of the two spectrum bands in the 800MHz frequency to implement the policy. So the price of the spectrum, as critics put it, was more political than realistic, within the context of the financial muscle of the key industry players and or any private investors interested in the spectrum. It was also criticized as not being realistic in the light of cost of deployment and what returns could be made from it within the short to medium term, particularly given what had become of the BWA players. The other argument against the pricing was that out of four entities that signed up to buy the spectrum, only one showed up; and out of the two spectra bands, only one was sold at the minimum auction price. That alone, the critics say, was enough to tell the regulator that it priced the spectrum wrongly and shortchanged Ghanaians in the process. Even the issue of non-availability and non-affordability of 4G devices was cited as another reason the spectrum price should have been a bit more “reasonable” and “moderate”. Indeed, recently, the CEO of Vodafone Ghana, Yolanda Cuba made two key statements about why the 4G spectrum pricing in Ghana was not the best. She said spectrum is an essential commodity like water so it should be priced moderately so that more players can buy and deploy widely, then the people can benefit from its availability and affordability, while the government also benefits from the returns on its increasing use. The second, and more revealing statement she made was that telecoms companies give their financial reports to the NCA monthly so the NCA knew what each company could afford and what it could not afford. She thinks the NCA knew that only one player could afford the spectrum at that “exorbitant” minimum rate and yet pegged it there. Even though she did not say, her suggestion was in line with what another Vodafone executive once said, that the price of the spectrum was purely political, and that NCA intentionally priced out all other players in favor of MTN. Simple and plain. But in “pricing out” all other players in favor of MTN, as the critics say, maybe the NCA might have priced out more than just a few telecom operators. First of all, it may have priced out the government too because one spectrum band was left unsold. In other words, at $67.5 million for one, the NCA arguably set out to raise $135million but ended up raising only half of that. Secondly, almost half of the smart devices users in the country may have been denied access to 4G because they are on networks that cannot afford to buy the spectrum at the minimum price. So, really whose interest was at the centre of deciding the price for the spectrum – the government, the people of Ghana, or as the critics say, MTN? Maybe, the digital migration and the expected digital dividend was worth the sacrifice Ghanaians had to make in being denied wide access to 4G from the onset. Let me explain. The digital migration means we are crossing over from analogue to digital television system for more channels, clearer pictures and better sound quality on our TV sets, which is pro-consumer. Moreover, in doing so, we are also harvesting some amount of spectrum that can also be used to spread 4G services at affordable rates much later. Again, as part of the digital migration process, government was paying for some free digital set top boxes for the poor, and also working to subsidize it for many more. So it may as well be the case that the public’s and government’s interests are coterminous on this matter, but the public had to make some sacrifices to enable government raise money to implement the digital migration. Another positive thing could probably be said for the pricing of spectrum. For one, it is favorably comparable to what pertains in other markets around the world. Some recent examples will explain the point. Just last year, 700MHz spectrum was sold for $1.82 billion in India. Industry players there thought it was high. Indeed it was 27 times the price of the 800MHz spectrum in Ghana. Again, last year, South Africa (where the MTN Group and the Vodafone Ghana boss are originally from), also auctioned the 700/800/2600MHz spectra for $213million, which is 3.2 times what Ghana’s cost. So yes, when one compares prices on face value, the price of the 800MHz spectrum in Ghana is way less than what similar spectrum is being sold for elsewhere. But each country has its own uniqueness and those factors influence the price. India, for instance, has one of the world’s largest populations of over 1.3 billion, and South Africa has over 55 million people, compared to Ghana’s estimated 27 million. Other factors may have gone into pricing the 4G spectrum in Ghana. But from how the auction went and what is even happening with the BWA players, who bought theirs for a relatively much cheaper $6 million each, then one can understand why industry players, who have already showed commitment to the country, would want the opportunity to buy at a bit more reasonable price. Having lost out on the 800MHz spectrum, the mainstream companies went back to their original proposal that NCA should have probably allowed them to partner the BWA operators to deploy the service across the country for the benefit of all Ghanaians. Indeed the licensed BWA players, Surfline, Blu, Goldkey and a fourth one called Broadband Home are not anywhere close to meeting the 60 per cent coverage of all 216 district capitals in the country in five years. The biggest one, Surfline now has a paltry 75,000 customers and has still not finished covering Accra, and has some footprints in Takoradi. But it is pretty much stuck in Accra. Blu is working with just over 1,000 customers in pockets of Accra, while Goldkey has still not taken off. Meanwhile, it has been four years since they got their licenses. Indeed, their burden has been reduced to covering just 50 district capitals out of 216, and yet it does not seem they can meet that with the given time. It is quite obvious they are unable to raise the funds to deploy and they have had to be cutting price constantly just to sell more data and make a point that they are moving more data than some companies. But the truth also remains that the relatively high volumes of data they are moving does not necessarily translate into corresponding revenue. Indeed, some of the fine brains Surfline and Blu poached from other companies on their arrival, have quickly jumped ship. Blu in particular, is said not to have paid salaries for months now. And yet the NCA may be patting itself on the back for having sold a national resource to locally-owned companies to enable them get into mainstream telecoms space. Noble idea, but the reality on the ground does not point to a smart move on that one. Moreover, it was the same NCA, that also thought it prudent to bring in the mainstream company, MTN, into the 4G space to, as the BWAs charged, deplete the investments they have made. They expected the NCA to have given them time to get well established. But time seems to be running out on the 4G technology, as 5G is already being tested elsewhere in the world. So NCA could not wait for the BWAs to keep going at their snail pace till they reach only God knows where. Once again, not a bad thinking, but it only goes to suggest that maybe the NCA should have allowed the BWAs to partner the mainstream companies from the onset to deploy 4G wider. The simple reason is, the companies have the nationwide coverage already and they can guarantee the BWAs regular flow of revenue in a partnership arrangement, and also guarantee Ghanaians access. The BWAs also have spectra good for capacity to improve quality of service in densely populated areas. The partnerships would benefit Ghanaians greatly. As things are now, the companies are keen on partnering the BWAs. In fact, at least one company, Vodafone has presented a complete partnership proposal with a BWA (Surfline) to NCA to seek clearance to partner Surfline. Vodafone is willing to even pay NCA for that opportunity, but the NCA flatly rejected the proposal on the grounds that policies and the regulatory framework for such partnerships do not exist yet so it cannot be allowed. Tigo also made enquiries about a wholesale deal with Comsys (an ISP), but that also got a “not yet” answer from NCA for similar reasons. But the critics suspect that maybe NCA feels obliged to protect MTN for at least three years like it did for the BWAs, then it will allow partnerships or probably even the sale of the remaining band in the 800MHz spectrum and the 700MHz spectrum at reasonable prices. It is also worthy of note that the BWAs got their license for less, arguably for a number of reasons, which may include the fact that the license limited them to only data service for the first five years. And even that, they needed to meet certain coverage parameters before they can be allowed to do voice. So they have been denied the opportunity of voice revenue and now the biggest voice player has become a threat to them. At least, partnership with the big companies can guarantee the BWAs survival, as some industry executives argue. But the NCA in its “wisdom” still thinks partnership now is a no-no for the reasons given. Maybe the reason again is to protect the runaway market leader. So in all, whose interest did the pricing of the 4G spectrum serve – the politicians – to meet their digital migration deadline; MTN – to get a competitive urge over the others as was the case with the award of GSM license in Ghana decades ago; or the Ghanaian, who is actually the owner of the resource and would love to have access to it, no matter what network he uses? It does not appear that the interest of the Ghanaian was at the centre of the decision in pricing the 4G spectrum; maybe indirectly it was, because digital migration is for the benefit of the public. But in terms of ensuring affordability and wider accessibility of 4G, it does not appear to be. Ghanaians need answers from the NCA and the government on how come they priced spectrum in a manner that left the spectrum unsold and lots of Ghanaians denied access? How come, in pursuit of a local content policy, they gave a valuable resource for cheap to Ghanaian-owned companies who have proved beyond every reasonable doubt that they do not have money to deploy and let Ghanaians benefit? Where was the foresight? How come BWA players do not have money to deploy and yet telecoms companies are refused the opportunity to partner them and deploy nationwide for the benefit of Ghanaians? The talk of partnerships in the industry has been going on for so long now; so when is the NCA going to draft policies and regulatory framework for that? What is happening to the remaining spectrum band in the 800MHz frequency – how does the NCA intend to make it available for the use of Ghanaians – can the NCA muster the courage and sell it for less after selling one for relatively so high to MTN – wouldn’t that be a stab in MTN’s back, just like the BWAs claimed the NCA stabbed them in the back by allowing MTN into the 4G space too early? Ghanaians need answers to these questions. As the new Minister-designate of Communications, Ursula Owusu-Ekuful takes over, she needs to look critically at the 4G space and provide the needed leadership to ensure some sanity. Nice article full of insight into the Ghanain telecom industry. This article however did not mention a new entrant into the 4G space in Ghana, Busy formerly known as BusyInternet. When did they acquire their 4G licence?